Enjoy a peaceful, tranquil week at our lakeshore home located on the south side of beautiful Cowichan Lake. Our Non-Smoking home is just one hour north of Victoria and 45 minutes south of Nanaimo. 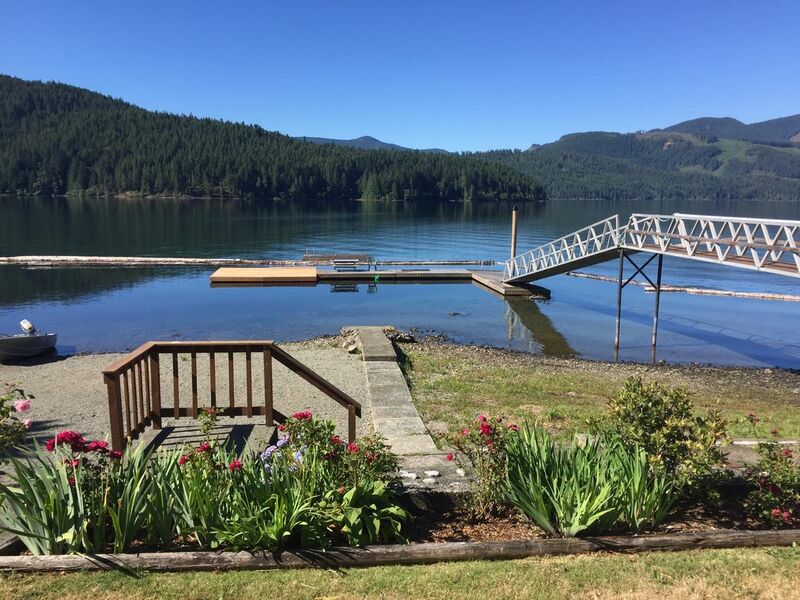 You and your family can enjoy a week of rest and relaxation on the beaches of Cowichan Lake - the sun shines all day on this south facing property. Property also has a dock to tie your boat up. There are many activities to try while staying here including but not limited to boating, canoeing, swimming, hiking, or enjoy a relaxing and scenic tube ride down beautiful Cowichan River. Enjoy the sunset from on our deck. Our home is located near boat launch, two convenience stores, video store, neighbourhood pub, and waterfront park. March Meadows Golf Course is nearby. The Cowichan Lake is great for fishing and is close to Port Renfrew or Nitnat if you like ocean fishing. Call now for your reservation to relaxation! Newly renovated kitchen and bathroom. *For updated pictures of the renovations, please contact owners directly. Private home on a private 0.5 acre lot. Perfect place for our family vacation. The house and dock are spacious and relaxing. Enjoying relaxing on the wharf, boating, canoeing or swimming in the lake. This property has many attractions. Winter activitiets including sledding and much much more!! !